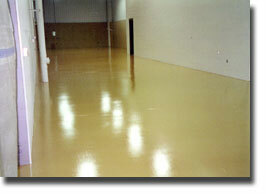 A wide array of thin film surface coatings and sealers formulated to meet numerous industrial requirements. Parker Coatings manufactures the Chemseal line of coatings - clear and pigmented, water-borne and solvent-thinned epoxies and urethanes - to effectively protect such varied substrates as interior or exterior concrete, wood and metal. Chemseal products apply easily, cure quickly, and offer superior acid, solvent and abrasion resistance. Ideal for warehouses, storage areas, printing facilities, kilns, industrial floors and many other types of commercial and industrial applications.